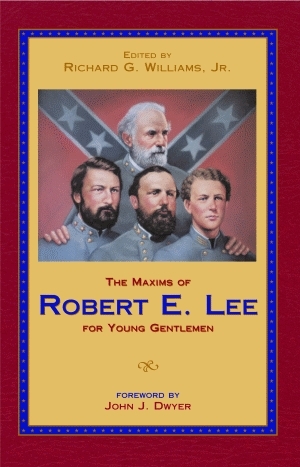 Gen. Robert E. Lee, 1807-70, was renowned for his brilliant leadership during the Civil War; however, his genius extended far beyond the battlefield. All his life, he relied upon his faith for strength and guidance not only in troubled times, but also as the foundation upon which he based all of his dealings with others. This volume contains his advice and observations, drawn from the great man’s own writings, on crucial topics such as education, duty, humility, and Christian faith—making this a valuable guide for today’s youth. Each section is preceded by a brief anecdote from his life, and each of the quotes is described with the time and circumstance. Richard G. Williams, Jr., is a seventh-generation Virginian who lives with his family in Stuart’s Draft in the Shenandoah Valley. 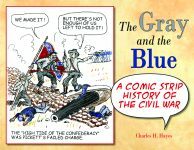 In addition to his writing career, he also served in the government of the Commonwealth of Virginia. 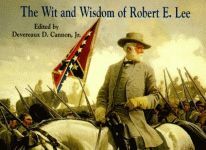 Williams has been awarded several honors, most notably the Distinguished Service Award by the Virginia Division, Sons of Confederate Veterans; the Jefferson Davis Historical Gold Medal by the United Daughters of the Confederacy, and the Robert E. Lee Appreciation Award by the Kappa Alpha Order.